Summer! Oh that delightful time of the year! It is a super amazing time with warm weather, beach trips, awesome barbecues and thrilling water sports. That list is definitely exhaustive. Summer is also a great time to host any corporate event and get your entire office to dress up at their best, let their hairs down and have the most amazing time of the year. 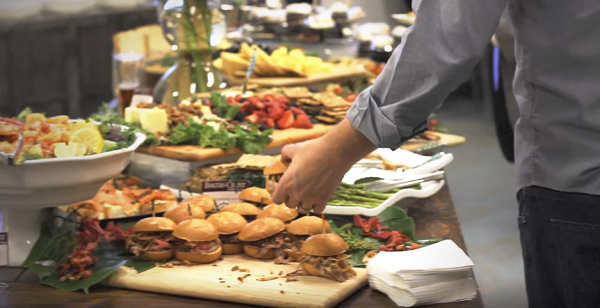 Here are the coolest corporate catering ideas for this summer. Come summer and we are buried under a plethora of vegetables. Accumulated together these veggies bring you a range of colors. While there is dark purple in eggplant there is also a glorious golden hue of the beets. The bounty of summer can have an even glorious celebration with the incorporation of the numerous corporate catering ideas that highlight the seasonal produce. Altogether we are looking at a bright assortment of salads, marking a delightful and healthy presentation of these veggie delights making snacks healthier. After all summer is also the time when people try to keep themselves clean and healthy with fresher and richer diets. Summers always call for ice-creams. 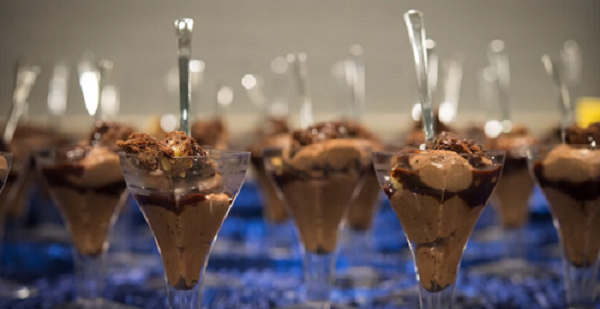 For your next corporate event, do something fun to get the kids bounce out of their rooms and grab their own sundae bar. Fill your spot with tubs and blocks of ice-cream. Make all the kids go crazy and then shower them with sauces, sprinkles and loads of whipped cream. Watch their faces basking with joy when they are filled to their heart’s desire. When talking corporate catering ideas, it is almost definitive for minds to levitate towards lavish settings that feature show-stopping modern cuisine. Barbeque has always been the king of summer cuisine delighting and ecstasy to every summer corporate event. Make your guests drool on the succulent BBQ chicken and smoky ribs or better yet go all out and hire a pig roaster. The aroma of the BBQ itself will be enticing enough to have your guests salivating with the spit being the centerpiece for the guests to gaze on. Throwing in a few vibrant veggie skewers on the same grill will make for a mystifying escape for all your herbivore buddies out there. With soaring temperatures, if you ever need to keep things light and yet refresh your taste buds with a little sweetness, go for fine cocktails. Make way for the mango mint cocktails and strawberry basil daiquiris. Watch them slush down the necks of all your guests in seconds. For most Torontonians and Ontarians, it’s a ritual to get to the cottage every weekend to savor in the enigmatic secrecy of the countryside wilderness. One of the coolest corporate catering ideas this summer is to get your guests a taste of the woods in the urban environment. There are numerous ways to do this. To start off you can serve your cottage favorites all dressed up to stock the bar. This comes with an assortment of Ontario’s assorted craft brews. Burgers have always been a cottage staple. Dressing them up with gourmet ingredients like artisanal cheese, wagyu beef or kobe beef as well as locally made bacon, is perhaps the finest idea. Team it up with a country-like toasted marshmallow for the sweet-tooth craving after the food. Other than that s’mores cocktails and even the elegant toasted marshmallow miniature s’mores will make way for a really great treat. With these we bring to you an exotic yet sensational summer to-do list. Hope you have a fun-filled summer ahead.